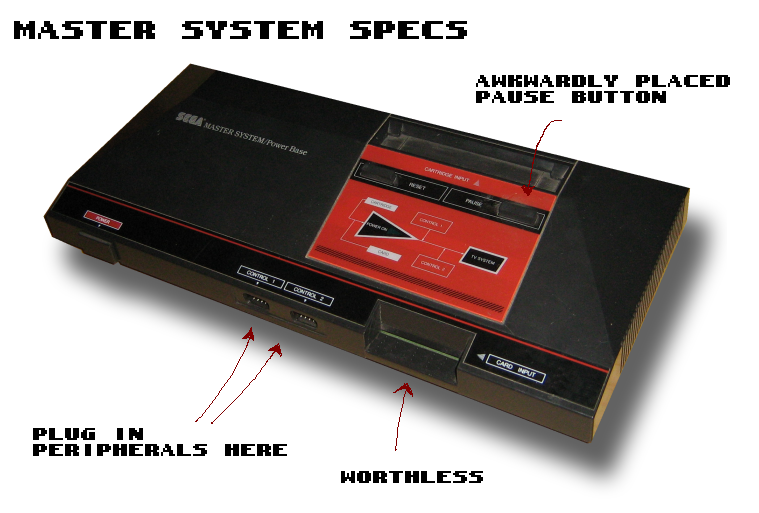 When compared to the Nintendo Entertainment System, the Master System has a lot of technical specs no one really cared about. Any kid could play both of them and tell the Master System was technically superior. You can draw that conclusion from screen shots alone. However, just because the games appeared better on the aesthetic level didn't mean they handled better, or were even as memorable as NES titles. And when I say memorable, I mean memorable to you, because I didn't have an NES growing up. When I think of a Sega Master System, games like Safari Hunt, Maze Hunter 3D and Alex Kidd in Miracle World, to name a few, all pop up in my head. Possibly because they all scared me senseless. But when it comes to the NES, the only game I can recall without spending an hour thinking about it is Kirby's Adventure. And while I'm aware there are many great hits on the system that ultimately made it better received in the top priority countries, it doesn't matter to me because at the end of the day I'm playing some arbitrary SHMUP on an obscure console anyway. There's a lot of stuff that just kind of wows me about this system, no matter how useless it actually was. A lot of things I honestly can't say Nintendo has done in the "extra touches" category, which when I look at it retrospectively, really makes me wonder just how much people even notice or appreciate the idea of extra touches. Okay, so the Light Phaser was hardly original (though much more inspired sounding than NES Zapper), and the card slot idea was just a waste of everybody's money, but the 3D glasses were inventive. That instantly made us better than the kids with NESes, and we all knew it. Damage to our sense of perception was worth being the coolest kid on the block, and the optometrists loved us. 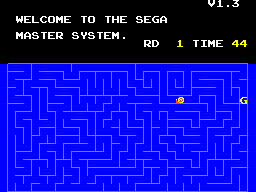 I thought the fact that the Snail Maze, a game built into the original system's BIOS was a brilliant idea. As long as you had the first model SMS like we did, you didn't even need a game cartridge. At the time I'm sure I (or my older brother) stumbled upon it and probably had no idea how we did it or if we could ever do it again, but it was like we discovered a new planet. The only thing you discovered when you powered on an NES without a game was that you were broke. And come on, who doesn't like the Snail Maze diddy?